It seems that everyone at some point or another gets stuck with too much stuff and that’s where a company like Public Storage can help. Public Storage is exactly what it sounds like it would be; it’s a storage unit facility that everyone in the general public can take advantage of. 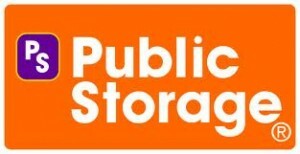 Public Storage has been around since 1972 and they have slowly and properly built their number of facilities up to well over 2,000 across the United States and in certain parts of Europe. That means that no matter where you live, there is likely a Public Storage facility nearby. • Personal Self Storage: Public Storage offers storage units of all sizes to help you accommodate your personal storage needs. You can rent a closet sized unit or a unit big enough to store all the contents of your house and everything in between. They offer both non-climate control and climate controlled units and they allow you to rent these units with no long term contracts ever required. • Business Self Storage: Instead of renting extra office space in order to store all of your extra office items or excess inventory, you can use one of Public Storage’s self storage units. Choose from walk up, elevator, or even drive up units and again, all with no long term contracts. Find the business self storage unit that is right for you and organize it in the way that will benefit your business the most. • Vehicle Storage: With Public Storage, you can rent a vehicle space or any type of vehicle you can imagine. Anything from motorcycles, boats, cars, trucks, RVs, you name it. No need to clutter up your driveway as Public Storage has an affordable solution for you with no long term contract. Public Storage’s website is filled with useful tools that can help you determine what you need in a storage unit. You can use their interactive tools to help you determine the perfect storage unit size for your needs or you can call them toll free and talk with one of their customer service representatives. Additionally, you can use their website to change your reservations, upgrade or downgrade your unit, and even make a payment on your existing unit. Perhaps best of all, you can make a reservation to rent a storage unit with Public Storage without using your credit card all with no commitment. Even if you decide not to rent the unit, there is no penalty. Public Storage also gives you your first month of storage for only one dollar making the deal they offer you even better. If you find that your home or office is being overrun with too much stuff then you may find that a storage unit is the only answer for you. With flexibility and great service, not to mention a one dollar first month’s rent, you may want to check out the Public Storage facility that is in your local area and see if they have the self storage solution that you need. I wasn’t aware they had been in business for long. These types of facilities are more popular now that they appear on tv auctioning abandon units. Next it will be industrial units. I am being charged for a service that I never used or purchased. I used public storage in Santa Ana location. Stayed 2 months and moved out on 3rd day of month. They normally charge for 3 days only if you move out before the 10th of each month. I also let them know in advance before the month. They still charged me for the whole month. I went there a few times , called customer service but they refused to refund. Customer service sends you to location, location sends you to customer service, they both dont help you but play with you a like a ball..Do not rent their places, they will steal your money. They are scammers. Terrible service. expensive too. go rent somewhere else. their 1 USD 1st month rent is bullsht, they will get your money. Do these guys also own Public Storage in Canada?